Navid Kermani is a writer and Islamic scholar who lives in Cologne, Germany. He has received numerous accolades for his literary and academic work, including the 2015 Peace Prize of the German Publishers' Association, Germany's most prestigious cultural award. "Kermani once more shows his brilliance as a reporter." "The real significance of this reportage lies in the many questions Kermani poses to the reader, in the face of the refugee crisis and its political consequences, as well as rampant levels of hate and fear—questions that cannot remain unanswered." "Among the most thoughtful intellectual voices in Germany today." "The moral power behind Kermani's extraordinary achievements is scarcely paralleled among all the great figures of German literature." "Kermani doesn't conceal a thing. He records everything that he sees and hears. But he also says what he thinks of it all...masterful." "Does Kermani just tell the nice stories? No, he is too good for that. He shows empathy towards the refugees, but also looks more closely to reveal the complex reasons for their flight." 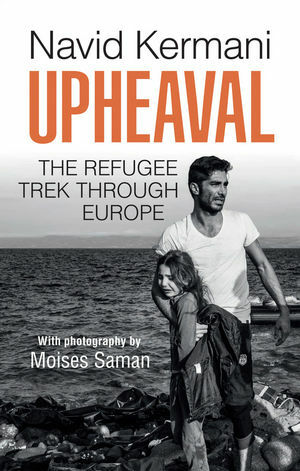 "In Upheaval, Navid Kermani shows what a serious public discussion of migration could look like." "Kermani has done a great job of not only capturing something of what the refugees are experiencing as they take the last stage of their journey to what they hope will be a new world, but the mood of the people whose hands they pass through. He shines a light in the dark spaces of our current world and exposes the dirty and shameful way we treat our fellow human beings."